New York’s Citi Bike pays riders to make it run better. Take a bike from this overstuffed dock and profit. Any member of a bike share program has come up against one of two frustrating scenarios: a full dock at the end of a trip, or an empty dock at the start. Bike-share professionals call this the “rebalancing problem,” in which riders overload a system’s most popular takeoff points and destinations, rendering docks useless. The question, which has attracted the attention of dozens of mathematicians and scientists, is what kind of algorithm for redistribution might most efficiently remedy the issue, keeping every dock well-stocked but not fully stocked. Motivate, the company that runs New York’s Citi Bike program, has tried a number of different strategies to move bikes around: trucks, sprinter vans, bike-drawn trailers, valet staff at the busiest drop-off locations. More than 120 people are on the task. For Washington’s Capital Bikeshare system, rebalancing has accounted for more than half of the system’s operating costs. 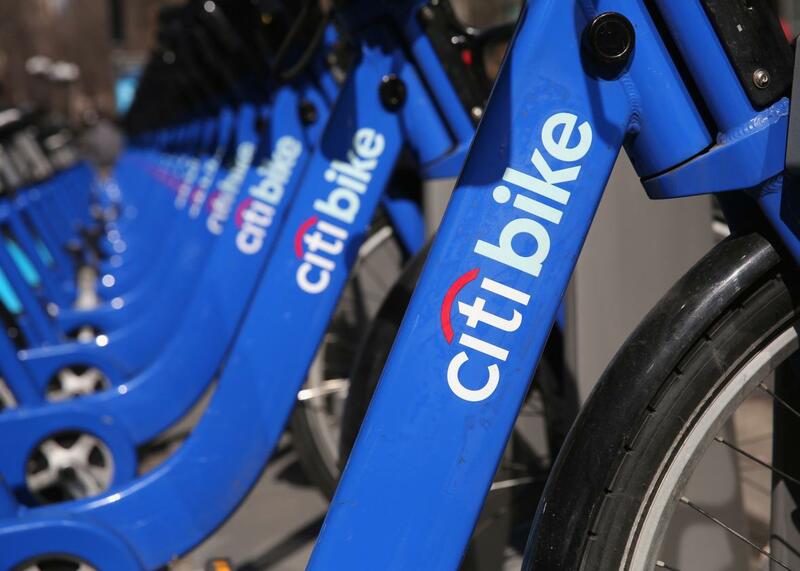 In May, Citi Bike tried something else: Pay members to redistribute the bikes themselves. Nine months later, 2,000 people have opted into that pilot program, called Bike Angels. Guided by online maps, they account for more than 10 percent of rebalancing on busy days—between 350 and 600 of the 3,500 bikes that must be moved to make the system function smoothly. The program began with highly tailored nudges to individual members, sent by email: drop your bike off a block that way, get points toward prizes. Now, members work off the same two maps, one for the morning and one for the afternoon commute. Stations that need daily rebalancing are allotted between one and three points, and classified as either pick-ups or drop-offs. (Often, the stations that need pick-ups in the morning need drop-offs in the evening, and vice versa.) If you commuted from the Meatpacking District to the East Village every day, you could earn a $6 Amazon gift card in three days. You’d be making a dollar every time you rode your bike across town. New York isn’t the first city to have tried to gamify this logistics problem. But in each city, different patterns are revealed. In Paris, for example, the problem is not temporal but geographical: Nobody ever wants to ride a bike up a hill. The area around Montmartre, for example, is full of “Velib Plus” stations, begging for a Tour de France contender to chug up the hill. Check in at a Velib Plus station and you get 15 free minutes of riding time. Those minutes accumulate. Many cities have long reckoned with this commuter flow problem in mass transit, and instituted peak or off-peak fares that push flexible passengers to use the system at times when it’s less crowded. Cities with congestion pricing can even do this for road space. So who are Citi Bike’s angels? People with unusual commuting patterns are the obvious targets. “There are all kind of [Citi Bike] members who have patterns: reverse commuters we’d like to bike more often, members who have non-traditional work schedules, students,” says Anna Khazan, the data analyst and program manager of Bike Angels. “There’s all kinds of people who, if they ended up biking more often or shifting their trips a tiny bit, could really help the system. What’s so appealing about a program like Bike Angels is the prospect of a transportation system that, with the proper incentives, could self-distribute its fleet. Fixed maps are a start, but Khazan hopes to introduce a more dynamic map soon and promote the program to all members. If you’re not a reverse-commuter, you could at least take advantage of the incentive to get some exercise. It’s a hint of a transportation future where finely grained data and incentives could be used to nudge users—not just cyclists, but users of taxis, transit, and congested center-city road space—toward choices that benefit the whole system.